I will like to expose and guide you on how you can make a living from plantain business. Having known that plantain is very easy to cultivate and maintain compared to other cash crops that requires much time and money to maintain. I will share my experience on how I set up my new plantain farm and how I have been making my cool cash from my existing plantain farm. First, I want you to know that almost every Nigerian soil is good for plantain plantation from my experience and visit to some farms in the Northern part of the country. Therefore, if you have any land with loamy soil, you can start plantain farming on it and start harvesting cash now. The crop is a staple food and is very popular in the tropical regions; which produces fruits all year round. 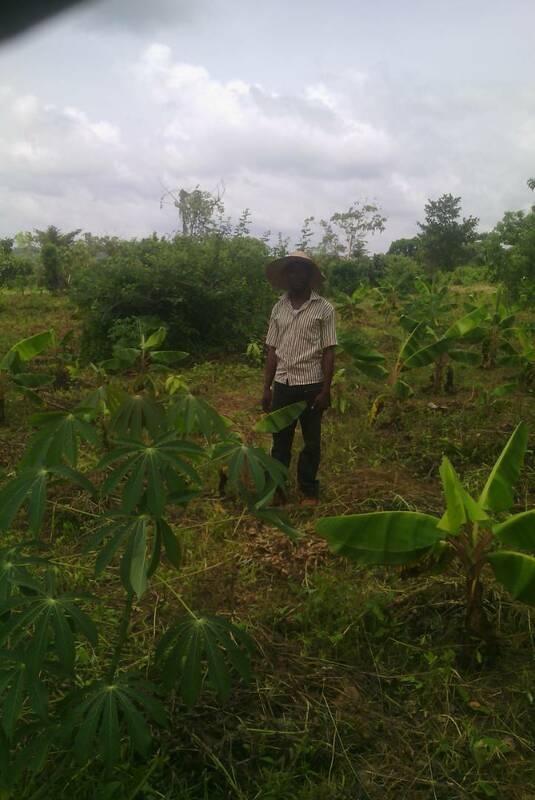 Before you can start plantain farming, you need a land with good soil. A loamy soil is considered suitable for plantain farming because of the nutrient composition. After a suitable land has been acquired, it is now necessary to prepare the soil. This is involves clearing and cutting of trees (if any). After land preparation, the next stage is to get the plantain suckers. Plantain is propagated by suckers, although all my effort to produce it through the seed has proven abortive. But I will definitely keep you posted if am able to record any success in propagation of plantain by seed. But for now, plantain plants can still be grown through suckers. For information about how to propagate plantain sucker click here. After establishing/transplanting the suckers to the field, the next operation is to start thinking about is how to control the weeds. The weeds control is very important if you want your plantain to do well, the cost of weed management could account for up to. In the southwest Nigeria, weed is really a problem because of the agro ecological zone (Tropical Rain forest). Do you know that 45% of the total cost of plantain plantation management in Nigeria is the cost will incur in weed control. The use of conventional method can be adopted in controlling weed; this is done by employing laborer to do the weed cutting. I want you to understand that it is important to protect the field from strong winds and it’s also important to keep it well watered during the dry season. Based on fertilizer application, well, you can decide to be throwing the plantain dead leaves back into the plant because it is enough to sustain the rich quality of the soil. But if you must use a fertilizer, then NPK fertilizer or any fertilizer mixed with nitrogen, potassium and phosphorous. The reason for fertilizing is to stimulate growth. Finally, if all agronomy practices is properly managed, within 8-10months your plantain should be ready to produce, and as one is getting matured for harvest, another one is replacing it, they continue in that circle removing any stress expenses of planting again. All you do is to harvest and reap your profits all year round. The whole process is also applicable to Banana.